﻿ futsal.se | How Do We Develop Futsal? Du är här: Startsida / Doug Reed blog / How Do We Develop Futsal? In this post I will discuss how I believe we can finally develop futsal so it achieves its tremendous potential and why I think the Futsal Insights Conference 2019 will help equip you so you can play your part. I have two personal motivations for seeing futsal develop. The first is I’ve been fortunate that futsal has gifted me incredible experiences that I am very grateful for and I want others to have the same. The second is I see so many people that are immensely passionate about the sport, dedicating their limited free time in various roles (coaches, photographers, league organisers etc.). I would love that instead of having to fit this in as their hobby, they could have the opportunity to bring that passion to the game in a full-time career. For these reasons I am driven to getting more people to play and watch this sport. I include watch because I believe having a strong professional game is crucial for the game’s development and getting more people playing. It provides the aspirational aspect that attracts children to the game, increases awareness, helps fund the grassroots and allows those passionate people I spoke about to work full-time in the game and grow the opportunities for more to play. The base and the pinnacle of a sports’ pyramid fuel each other. Whilst the sport is still at a relatively early stage of its development, we are not going to have the funds to attract the leading experts in their fields, such as marketing professionals, needed to rapidly grow participation and fandom. Therefore, this role falls on those currently involved to take the game to the next level. If we want more to experience this wonderful sport, we must take hold of this responsibility to promote and develop the game ourselves. Regardless of if you are involved in the sport as a player, coach, club administrator, governing body representative, fan, social media influencer or whatever. We all have a huge asset and that is our unwavering passion for the game. But, passion alone won’t be enough. To develop the sport, we must develop ourselves first. We must gain the knowledge so we can attack the challenges the sport faces. Any sport is an inter-dependent ecosystem and progress is limited by the weakest links. For example, a well-organised elite competition with poorly organised clubs will not succeed. As is the same if there are strong youth clubs but a weak governing body. We must all grow together. We must be relentless in persuading others in the game to improve but our biggest concern must be what we can most influence, that is ourselves. From a personal perspective there are many things I don’t know enough about or don’t have experience in but I am trying to educate myself as much as possible so I can contribute. Where can we take this sport together? The need for us all to improve for futsal to develop is the reason for the Futsal Insights Conference 2019. We have been very lucky in getting a speaker line -up (see below) that includes leading sport industry professionals that have addressed the key challenges futsal is facing successfully in other sports such as football, basketball, netball, rugby union and rugby league. In addition, we have people who are driving change in futsal and shaping its future. This is a unique and invaluable chance for the futsal community to access best practice in sport development as well as understand what is currently happening in futsal that they can get involved with. 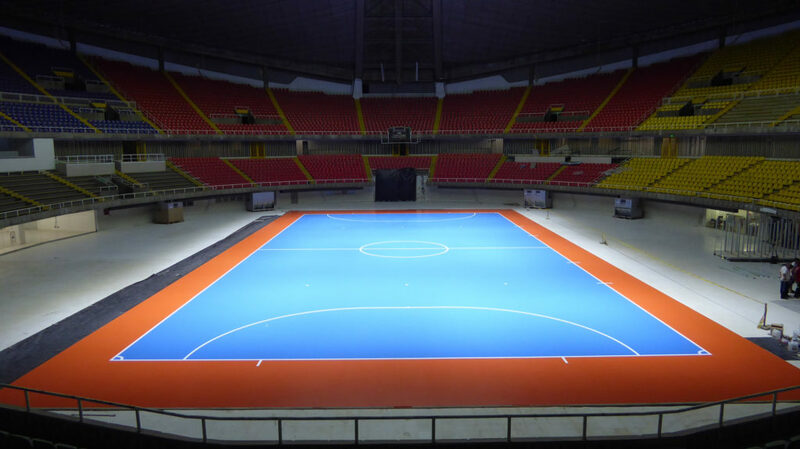 With a big effort from those in the game now, futsal will reach a tipping point where it explodes. Speaking with people across sport development and the sports industry, there are a lot of people very excited about futsal’s future. Another element of the conference will be the coming together of a like-minded group of people that are committed and passionate about developing the game. No single person or organisation is going to develop futsal alone. We will achieve this together and the conference will provide a central forum to meet with familiar faces and make new contacts to discuss how we can achieve our shared vision for futsal together. I ask you to take time to consider what attending this event can offer you. We have ensured the tickets are as low as we can afford so it is as accessible to as many of the futsal community as possible (tickets include lunch buffet & coffee break refreshments plus free use of the on-site car park). We are extremely confident that those attending will enjoy a day that offers value many more times the price of the ticket and you will leave with lots of valuable insights, knowledge and new contacts as well as renewed enthusiasm. I would be delighted to see you in Manchester on Saturday 2nd March and for you to be part of the growing futsal movement!! The post How Do We Develop Futsal? appeared first on DougReedFutsal. http://futsal.se/wp-content/uploads/2016/04/swefutsal.png 0 0 Erik http://futsal.se/wp-content/uploads/2016/04/swefutsal.png Erik2019-01-28 18:58:242019-01-28 18:58:24How Do We Develop Futsal?